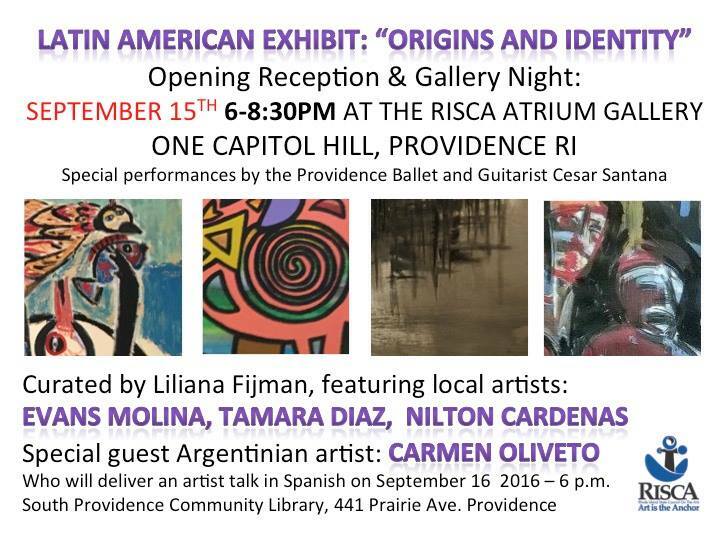 As part of Gallery Night’s celebration of Hispanic Heritage month, we are so pleased to include “Origins And Identity”, the 15th annual state Latin American art exhibit, on September 15, 2016. 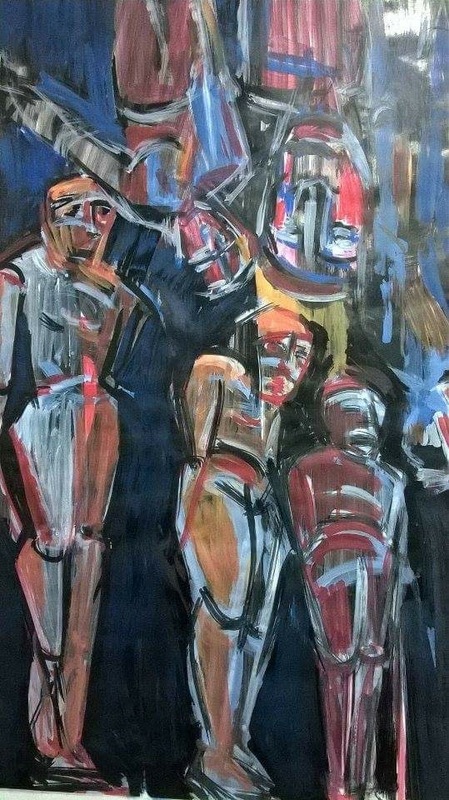 Curated by Artist, Gallery Night supporter and Celebrity Guide, Liliana Fijman. There is a guest artist from Argentina Carmen Oliveto. Carmen’s work was done especially for this exhibition. She was inspired by Italo Calvino ‘s book: INVISIBLE CITIES. Each work is named after one of the cities Calvino created in his book. As well as local Latino artists Evans Molina, Tamara Diaz, and Nilton Cardenas. Carmen Beatriz Oliveto an Argentine artist living in the province of Neuquen, she studied at the prestigious National Art school Pridiliano Pueyrredon. 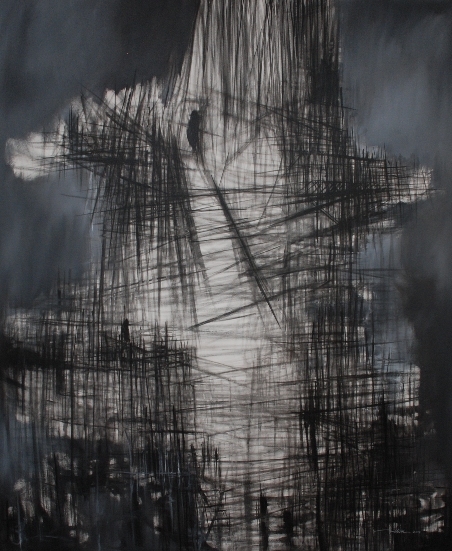 She specialized in the areas of drawing, composition, and painting. She has been an active professional at the Art School Manuel Belgrano for 22 years. 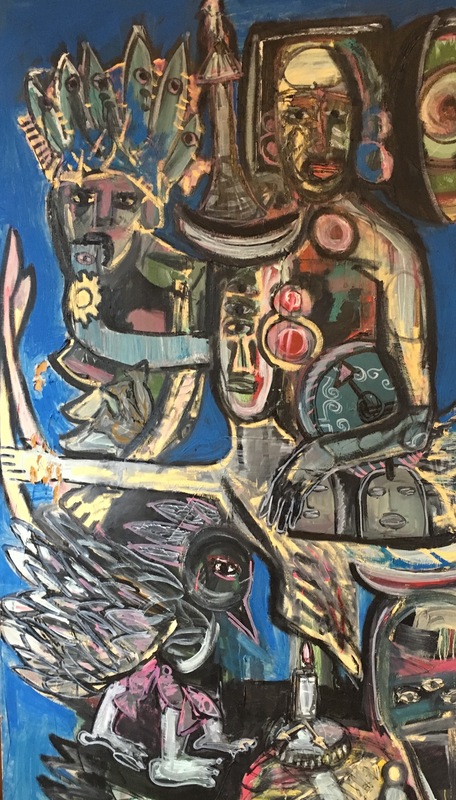 Evans Molina, with an outstanding knowledge of his roots, Molina takes you to the magical world of Afro Cuban folklore and shows you the serene and proud beauty of the Cuban people. Nilton Cardenas, pictorial images polarized by the feelings, memories and nostalgia of identity: He has a passion for his country and it’s original aesthetic, folkloric and mythological, paintings, drawings and murals offer us a pictorial language popularized by the feelings, his memories and nostalgia of identity. Tamara Diaz, this selection of art examines the constant changes of roles that one plays in their life and what it takes to maintain it. 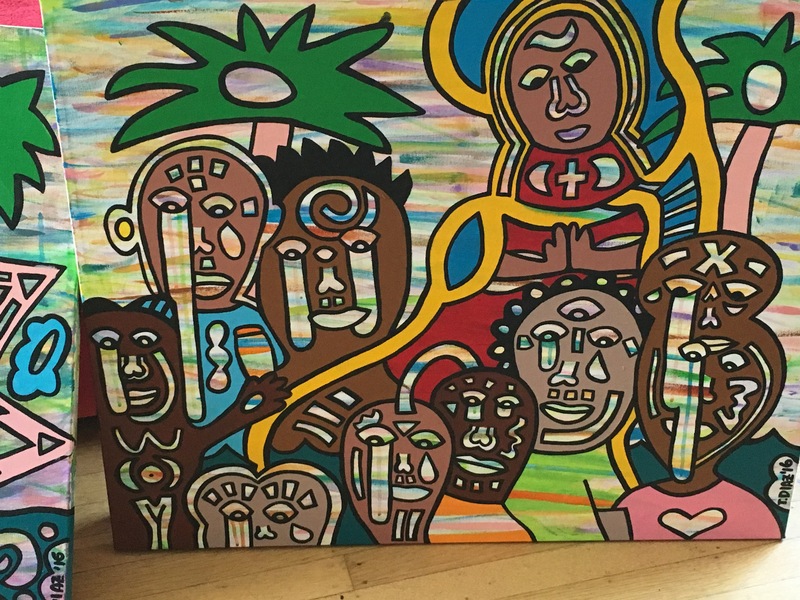 Some of the works depict healers and/or those who may be suffering. The Virgincita, the patron saint of Mexico, often appears to provide guidance and comfort. The tropical colors often helps to transform the difficult subject matter. This entry was posted in Uncategorized and tagged Afro Cuban folklore, Art, art gallery, art objects, Art School Manuel Belgrano, arts, Carmen Beatriz Oliveto, Carmen Oliveto, celebrity guides, community, Contemporary art Providence, entertainment, Evans Molina, Free Art Rhode Island, gallery night, Gallery Night Providence, Hispanic Heritage month, INVISIBLE CITIES, Italo Calvino, Latin American art exhibit, Liliana Fijman, local Latino artists, Modern art Rhode Island, National Art school Pridiliano Pueyrredon, Nilton Cardenas, paintings, providence rhode island, province of Neuquen, regency plaza, Rhode Island, Rhode Island Galleries, Tamara Diaz, the patron saint of Mexico, The Virgincita, Things to do in providence, Things to do in Rhode Island, Virgincita. Bookmark the permalink.